Learn why Bluetooth Low Energy (BLE) enabled beacon technology is becoming the preferred technology for monitoring packages in the warehouse, yards, and package deliveries. Discover the reasons why passive/active RFID technology or NFC failed to revolutionize supply chain visibility the way Bluetooth Low Energy (BLE) enabled Beacons are positioned to do. Over the years various methods have been employed to gain visibility of each package through its supply chain as it is shipped from its storage location to its delivery destination. With the advent of digital systems, “manually written scripts” on packages evolved into “barcodes” which could be tracked at dispatch and receipt points using barcode readers. Then came Radio Frequency Identification (RFID) and Near-Field Communication (NFC) technology which provide a more efficient way to scan packages by eliminating the need for line-of-sight (which was required with barcodes). RFID also enabled contactless location of packages in the warehouse or in-transit. But, why are beacons taking over from RFID today and what could RFID based technologies not accomplish that beacons could? 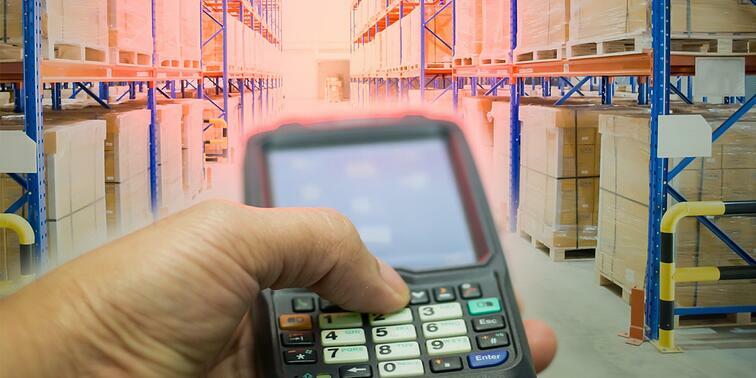 To find these answers, let us walk through evolution of supply chain visibility solutions and compare each of these technologies namely - Barcodes vs RFID vs BLE Beacons along with their features and drawbacks. We will also see how NFC, a new technology that is coming up in the consumer space, fares in context of supply chain or logistics visibility. Barcodes are labels pasted onto products or packages with optical machine readable representation of data which denotes something about that package or product. Barcodes evolved from one-dimensional to two-dimensional and recently to the popular QR codes which could enable the storage of a large string of data to identify a particular object. Barcode technology with its optical scanners enabled supply chain mangers, for the very first time, to scan packages at any hub and link the data to a central repository such as an ERP WMS or TMS. 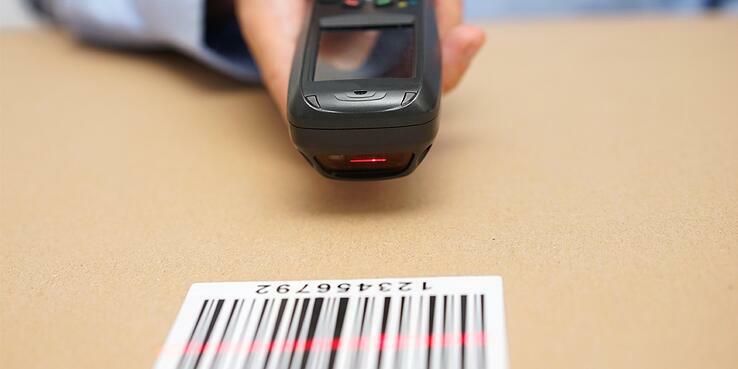 Time & labor intensive: The first major drawback of barcodes is the time it takes to scan every package. If you are shipping 5,000 packages every day and it takes 3 seconds to scan each package at your warehouse, you would be spending close to 4 person-hours per day on “scanning.” With 50,000 packages it would become 40person-hours or nearly 14,600 person-days in a year. Inability to provide real-time location: The second major drawback of barcodes is that you cannot easily locate that one critical package from a set of packages without re-scanning through the entire pile. Further you cannot get your package’s real-time location with barcodes. For instance, if your warehouse contained 5,000 packages you would need to scan one packet at a time just to audit your inventory. The same applies when your package is in-transit. Barcodes helped bring a digital identity to a package, but proved labor intensive due to “line-of-sight” requirement. Further they could not locate a package in real-time. This led to experimentation with RFID technology. RFID technology employs tags which contain mini-circuitry that are identifiable by radio waves. Tags can be as thin as paper labels or the size of keychains depending on how much data strings it can store and the distance from which it can be read. RFID tags are broadly classified into passive and active tags. Reading an RFID tag “does not” need “line-of-sight” as with the case of barcodes, but the “read-distance” is determined by whether the RFID tag is active or passive. RFID readers can be fixed or mobile readers, but your cellphone cannot be used to read RFID tags like in the case of barcodes. Passive RFID employs tags (without batteries) which draw power from the radio waves beamed by the reader and reflect them back to the readers. Once the reflected wave is captured by the reader, the tag and its parameters are identified. Since the radio waves are reflected like a boomerang, its strength erodes swiftly by the time it is read by the reader – making the read-range typically less than 20 feet. Passive RFID tags are typically used for tracking low-cost items at gates and checkpoints of a warehouse where the read-range needed is low. 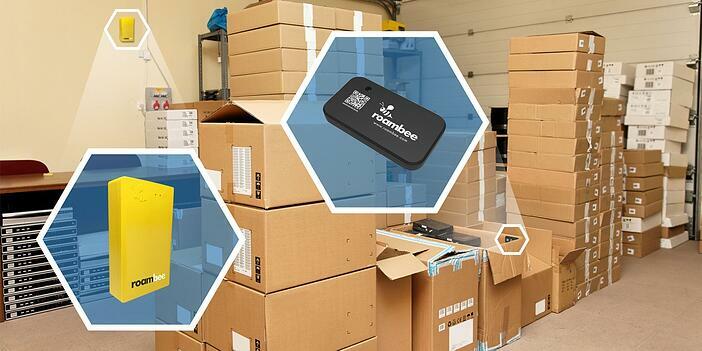 Inability to cover a warehouse: Due to its read-range being very small, you would need to literally walk the floor, and cover all corners with a mobile RFID reader. If you were using fixed readers to cover your entire warehouses, you would need a ton of them, and incur high servicing and maintenance cost. Complexity in setting up: Since your mobile phone cannot double up as an RFID reader, you would need expensive infrastructure setup on trucks to read tags in-transit. Read-range can still be an issue to secure all your packages in your container. Even in the warehouse, setting up is laborious. You need specific readers, network connectivity, routers, etc. Inability to provide real-time location: Readers do not naturally come with GPS and GSM triangulating capabilities. Active RFID employs tags with in-built batteries that can help extend the read-range to about 100 feet by beaming its information towards the reader just like your mobile phone. Active RFID technology found its application when it came to monitoring high-value packages or equipment in warehouses, yards, and the railways. The high read-range enabled the readers to overcome the drawbacks of passive RFID solutions by sensing packages and equipment throughout the yard or warehouse with a limited number of readers, but other drawbacks prevented it from scaling. Let us see what they were! Inability to scale due to its proprietary nature: Tags only communicated with their specified RFID readers due to proprietary protocols. You require specific readers and tags for your application and cannot open-source them. Cellphones cannot double up as readers in an emergency: Your trucks and warehouses need to have fixed readers, or drivers need to carry them around and return them responsibly. Prohibitive cost: Due to limited number of tags being manufactured (owing to the proprietary nature of the protocols), economies of scale have not been achieved. This makes each active RFID tag cost a dollar or more, which may not prove viable for many use-cases like last-mile delivery where a disposable type of tag is required. Inability to provide real-time location due to power consumption: The readers need cellular connectivity and GPS chipsets real-time location of the package in-transit. This means that the solution becomes a power-hog if real-time in-transit monitoring capabilities are to be built. Complexity in setting up: Reader installations, network creation, and wiring mean many person-hours of work in setting up and maintaining. Therefore, RFID based solutions, in spite of solving the “line-of-sight” scanning and read-range concerns of barcodes, were still unable to provide scalable, integrated visibility of packages moving within a warehouse and in-transit. Let us see how the beacons help address these drawbacks! We will also briefly compare BLE and RFID with Near Field Communication (NFC), a technology that has been generating a lot of press in the consumer space, with regards to use in logistics or supply chain visibility applications. Let us see how the beacons help address these drawbacks! Beacons, Bluetooth tags or BLE tags are similar to active RFID tags. They have inbuilt batteries which provide them with long read-ranges. The most unique difference between BLE and RFID is that beacons work on Bluetooth Low Energy (BLE) technology which is highly energy-efficient. BLE is further a universally available protocol that also happens to be a feature present on most GSM chipsets (in other words, your cellphone), giving BLE Beacons the strategic advantage in terms of cost effectiveness and scalability. You can read Beacons with your cellphone or any hotspot device that uses a GSM chipset with BLE. Since GSM devices are already connected to the web, you need no network creation, router installations or WiFi zones. You can get real-time location by using a GPS chip in your GSM device or through cellular triangulation thereby not just knowing if you package is in the truck, but also where the truck is. High Read-Range: Beacons have a read-range which is higher than that of active RFID due to the energy conserving nature of the BLE technology. You can cover a large warehouse with just a few hotspot zones or cover the entire length and breadth of a truck carrying packages with a single mobile phone. Less power consumption: Beacons can effectively transfer a wealth of information (sensor data such as temperature, humidity, light) without consuming much power – again due to the nature of the BLE protocol. This enables BLE tags or beacons to last for up to 3 years without a recharge. Cost Effective: Due to the prevalent use of Bluetooth protocol on mobile phones, tags are being mass-manufactured and are close to hitting economies of scale. Beacons already cost so little that you can dispose them after each use. Having discussed about the advantages of BLE beacon technology compared to RFID and barcodes, the comparison wouldn’t be complete if we do not cover a new trending technology called Near Field Communication or NFC and how it fares with RFID or BLE beacons. Near-Field Communication or NFC is a relatively recent technology. It is a close cousin of RFID as it operates in the same bandwidth of high-frequency or HF RFID which is 13.56 Mhz. NFC can function both like active or passive RFID, where-in the tag can simply bounce back radio waves it is beamed or actively emit radio waves towards the NFC reader using a small battery. In fact, this technology was indeed developed to enable only close proximity reading applications such as information sharing between smartphones, credit card authentication, and smartphone based payments where the user’s credit card or smartphone is required to be close to the active or passive tag at the point-of-sale (POS). Is NFC effective at addressing supply chain visibility? Not really - if you are looking to secure a large warehouse with plenty of parcels without spending much time or person-hours. It also cannot be used to monitor parcels being transported on a container or monitor their deliveries in the last-mile. Since, close proximity is required to read packets or goods, it is almost the same as passive RFID, except that read errors (or stray assets being read in the zone) are minimized sometimes when compared to passive RFID due to the need of the asset coming in close contact with the reader. BLE beacons on the other hand have a large read radius and are extremely low on power consumption for the range they cover. They also come without all the challenges that active RFID poses such as infrastructure and cost. Leveraging these unique advantages of the BLE technology, Roambee launched its BeeBeacon solution in October 2017 (Read the press release). The BeeBeacon solution is the industry’s first in-transit GSM/BLE/Wi-Fi mobile based hotspot solution for package-level monitoring See how this solution works in empowering you to get granular package-level data and sensor analytics throughout your supply chain – in warehouses, yards, in-transit, and last-mile delivery optimization. Want to know exactly how our Beacon solution compares with Active or Passive RFID? Download our comprehensive comparison guide.